Movoto Blog, part of a national real estate brokerage firm that “strives to create unique, and most importantly, fun real estate related stories,” has posted what they consider the top 50 communities in Pennsylvania and featured West Chester in the top ten. 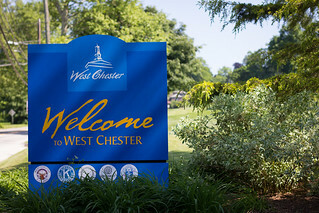 “West Chester has all of the ‘good on paper’ qualities to top our list,” said blogger Natalie Grigson. “It has lots of amenities, a median house value 102-percent higher than the rest of the state, and a high school graduation rate that’s 26-percent above average. “But it is this town’s undeniable, old-world charm that sets it apart from the rest of the state, and really, the entire country. If you are looking for that quintessential, old-world Pennsylvania, grab your horse and buggy and head to West Chester.” Read more about the top ten Pennsylvania Cities at MovotoBlog.